All-Ages Registration Our escape room is back by popular demand! A bewitched moving staircase at Hogwarts has left you trapped in the Deathday Dungeon with Nearly Headless Nick! 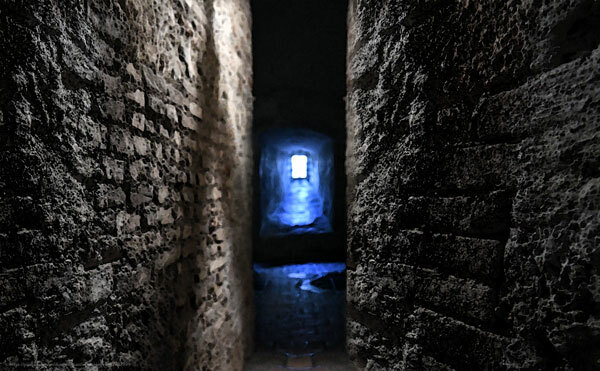 Never fear - solve the puzzles in the Dungeon and you will find a way to escape! You have 45 minutes for your group to solve the puzzles and escape - good luck! About the escape room: Reservations will be taken beginning July 1st and are highly recommended! No more than six people at a time will be allowed entrance to the escape room. The escape room is designed for ages 10 and up - sorry, no children under age 8 will be admitted. Arrive ten minutes before your reservation time or you may lose your spot. Call 715-261-7230 for more information or to register after July 1.